AMANDA PAYNE’S seizures weren’t going away, despite taking strong epilepsy drugs. One time she felt the warning signs just before getting off a bus on a busy road in Glasgow. She only just made it to the pavement before collapsing and convulsing. Payne was sent for further investigations. Like many people with epilepsy, she had been diagnosed based on a history of sudden blackouts, but had never undergone a definitive test to record her brain’s electrical activity during such an episode. This time, she was admitted to hospital where she wore electrodes on her head for four days. By the end the doctors knew one thing: whatever was wrong, it wasn’t epilepsy. Despite four years of apparent seizures, her brain was to all appearances working fine. As to the real problem, the doctors had no simple explanation. But they had seen this before. Payne is one of a group of people with neurological symptoms – those affecting the nervous system – that defy all the usual medical tests. As well as seizures, other manifestations include paralysis, tremor, blindness and pain – but no physical cause can be found. Until recently, those who experienced these disorders were routinely dismissed by medical professionals as attention-seekers and fakers. In the past decade, though, neurologists have come to understand how real these symptoms are, and how people with them experience injustice and abuse. This shift has led to techniques that help people regain control over their bodies. What’s more, it is shedding light on some puzzling bodily experiences we all may have and even the nature of consciousness itself. “An awful lot of strange things we have noticed about the brain might fall into place if this is right,” says Andy Clark, a cognitive scientist at the University of Edinburgh, UK. Matt Turner’s problems began two years ago after he had emergency surgery to remove a prolapsed disc in his spine. When he came round from the anaesthetic he couldn’t move his right leg. The next day his right arm was also paralysed. The doctors suspected a stroke, but all the tests and scans were negative. After seeing several specialists, he was told he had a functional neurological disorder, which may arise from something going wrong with the way the brain processes signals from the body. Sometimes these conditions are referred to as “psychosomatic”, meaning a person isn’t lying about their symptoms, but neither can anything be found wrong with that part of their body. But Turner dislikes this word. “That almost implies you are making it up. You would never make this up,” he says. After specialist rehabilitation, Turner has regained most of the movement of his arm, but not of his leg, and now he can only shuffle slowly. It also causes him pain. Why the problem began is a mystery to him, although it isn’t uncommon for a functional neurological disorder to be triggered by an injury or operation. The medical term for conditions in which the body malfunctions without any visible, structural cause is functional disorders. But they can go under many names. In the 19th century, they were called conversion disorders, based on the idea that mental trauma was being converted into physical symptoms. Today, doctors may use the terms psychosomatic or medically unexplained symptoms. By this they mean that a person isn’t lying about their symptoms, but neither can anything be found wrong with that part of their body. It can be hard to believe – especially for those affected – but the symptoms seem to be generated by something going wrong in their brain. These mysterious illnesses aren’t just seen on the neurology ward. People may also have functional asthma, constipation, chest pain and so on. But physical illness can most easily be ruled out in the case of functional neurological symptoms because of the array of highly accurate tests available for nerves and muscles. So it is also the area where most research has been done, and where we have made most progress. As well as functional epilepsy, which is what Payne had, people can have problems with movement, ranging from arm or leg weakness through to tremors, tics and even paralysis (see “Communication breakdown”). Sensory problems include pain, tingling or blindness. The symptoms may resemble those of a stroke or conditions like multiple sclerosis. But experienced neurologists can identify aspects that should be medically impossible, says Suzanne O’Sullivan of the National Hospital for Neurology and Neurosurgery in London. For instance, O’Sullivan, author of It’s All in Your Head: True stories of imagined illness, once saw someone with a small, harmless growth of fatty tissue on the side of her head, who was convinced it was a brain tumour. She experienced worsening weakness on that side of her body until she was almost paralysed, proving to her that the “cancer” was growing into her brain. But she didn’t know that one half of the brain controls the other side of the body, so it was the “wrong” side that had become paralysed. Another person had a permanent muscle spasm in her hand that was so strong the fingers were curled inwards, the hand left useless. O’Sullivan agreed to the standard treatment, an injection of Botox, which paralyses muscles. Minutes later, the woman’s fingers uncurled, and she looked up in joy. But Botox takes days to work, so the woman had just revealed that the problem lay not in her hand but in her head. Some doctors take incidents like these as signs of pretence, a risk those affected are well aware of. “They are worried you think they’re doing it on purpose,” says O’Sullivan. They may also be suspected of having Munchausen’s, a much rarer psychiatric condition where people fake symptoms and seek medical care for attention. There are no foolproof methods, but with time and experience, doctors can generally distinguish between people faking and those genuinely baffled by what’s happening to them, says Jon Stone, a neurologist at the University of Edinburgh. He notes that people with these conditions submit to countless tests and return to doctors again and again because they “desperately want to know what’s wrong”. Cases such as these are surprisingly common. In a 2010 survey of people attending neurology outpatient clinics, 16 per cent had some kind of functional disorder, making this the second most common reason for seeing a neurologist after headaches. Functional epilepsy, also called dissociative attacks, can be one of the most alarming. If performed, an EEG shows that these episodes aren’t seizures, when there is a surge in the brain’s electrical activity, nor are they the same as a faint, caused by a lack of blood to the head. Still, the person may collapse, start shaking and be unable to remember what happened during the episode. An attack that lasts for more than a few minutes may result in the person being rushed to hospital. If the staff in the accident and emergency department are unfamiliar with functional disorders, there are two risks. One is that doctors treat it as a true seizure, administering potent drugs and putting a breathing tube down the throat, which can introduce infections. The other is that staff realise this isn’t epilepsy and, lacking understanding, think the person is putting it on. “There’s an awful lot of unkindness towards people who develop this condition,” says Payne. As people come round from a dissociative attack, they may regain awareness before they can speak or move, so have to lie there listening to sceptical remarks from staff. Payne herself has been told to snap out of it. “If you could stop doing it, you would,” she says. Worse, though, is when doctors intensify their efforts to wake people up, for instance by inserting a needle or pressing with their knuckle on a tender spot on the chest, a procedure known as a sternal rub. These are normal techniques for gauging someone’s level of consciousness, but with dissociative attacks they may be done repeatedly by doctors who suspect that the person is faking. If this happens when the person has regained partial awareness, it can feel like they are being abused. So if people with functional disorders are neither pretending, nor do they have anything structurally wrong with their nervous system, what is the explanation? For much of the 20th century, doctors believed the condition stemmed exclusively from mental trauma, and that its mechanism was beyond our understanding (see “Why do functional symptoms start?”). 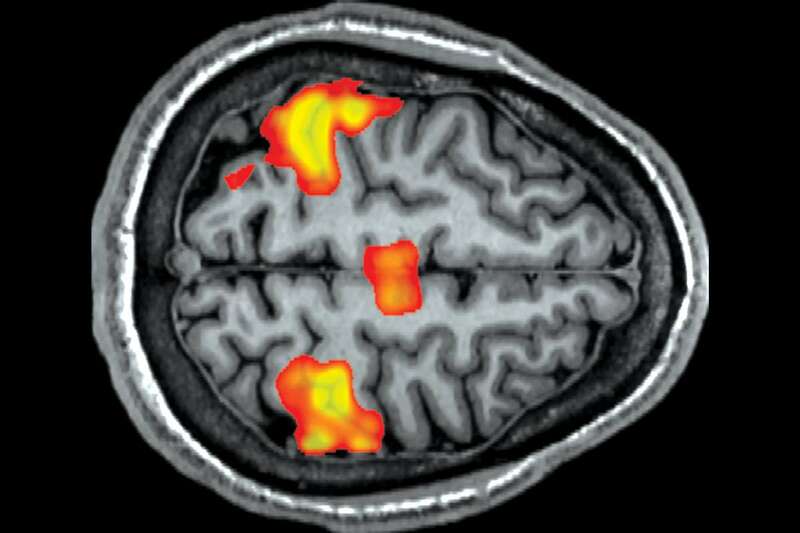 Things started to change with the arrival of a brain-scanning technique called functional magnetic resonance imaging (fMRI) that lets us see which parts of the brain become active under different conditions. 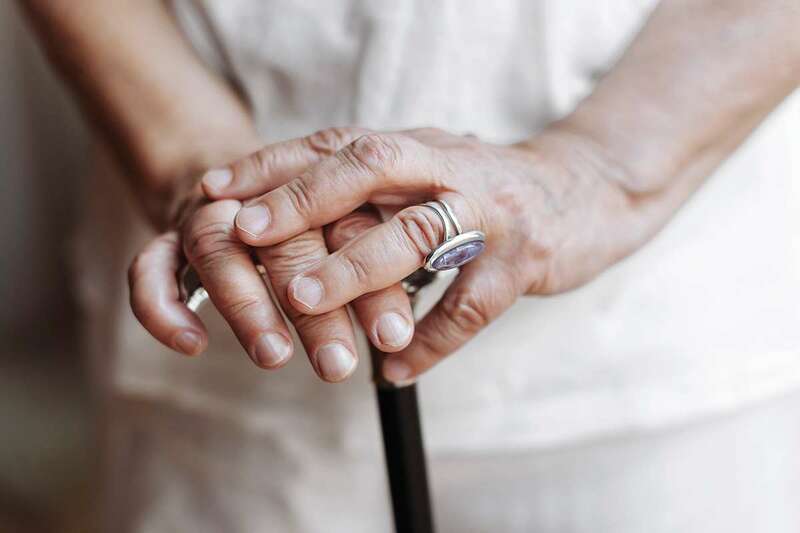 Several studies showed that people with a functional tremor, for instance, had different brain activity compared with volunteers asked to fake a tremor. That helped convince doctors that people weren’t pretending or imagining things, says Stone. “It’s hard to get your head around,” says Jamie Lacelle, a former dancer, who two years ago was struck by a mystery illness. It started with a worsening of pain in her hip, which had always given her trouble. Then she started dragging that leg, and developed bizarre jerking movements as she walked. Soon she had to use a wheelchair. Although there is still much that is mysterious about these disorders, new physiotherapy treatments can help. As a result, Lacelle has improved significantly and can now walk with a stick. Yet progress in treatments has come from a different route. Around 15 years ago, Stone became interested in something that had long been noted in medical textbooks but little explored: functional symptoms tend to dwindle when people are distracted. Take someone with a functional tremor in their right hand. Ask them to hold out the hand and the tremor is especially pronounced. Ask them to also hold out their left hand and tap it on the table to a beat and, with attention focused away from their right hand, it may either stop shaking, or it could pick up the same rhythm as their left. A tremor with a physical cause would remain the same. Similarly, other problems, such as weakness in a limb, lessen when the person is asked to do a task involving a different part of their body. These types of tests were routinely used for diagnosis, but doctors didn’t discuss them with their patients. Yet it was well known that some people recovered simply by being told their functional diagnosis – if they accepted it. So Stone started showing people how their symptoms abated under distraction – sometimes even filming them as they moved their leg, for instance, to help convince them the muscles were working normally. Then he began to go further by suggesting that people use their own distraction techniques if symptoms began. This approach could even be used by people with dissociative attacks, who often get warning signs before they lose awareness. It has proven so successful that patient groups now swap tips on the best techniques online. These can involve counting backwards in fives, looking around a room to spot things that are a certain colour, stroking a pet or just talking to someone. Payne uses her walking stick, which has a series of holes in the metal shaft for height adjustment: simply running her fingers over the holes provides enough distraction. “You’re making your brain think about something else,” she says. She has been off medication and free of seizures for two years. Some small trials of these techniques have shown positive results both for dissociative attacks and movement problems, and larger studies are under way. Although this is encouraging, distraction doesn’t tend to work instantly, especially if people have been immobile for a long time and their muscles have weakened through lack of use. Some hospitals now offer tailored physiotherapy programmes based around distraction, where people gradually relearn their lost abilities. “By showing them how to redirect attention, we trigger normal movement patterns underneath,” says Mark Edwards, a neurologist at St George’s, University of London, who stumbled on distraction treatment around the same time as Stone. Intriguingly, the approach may shed light on the underlying cause of functional symptoms, says Edwards. According to one theory about how the brain normally works, we experience the world not as raw data arriving from our senses, but instead as a meld of this data with our predictions and expectations. Edwards argues that, in functional disorders, the circuitry goes wrong so that the brain places too much weight on these predictions, instead of the inputs from the senses. In someone who has functional blindness, for instance, the expectation of darkness overrides signals from the optic nerves. In someone who cannot move an arm, beliefs about their limb override the real nerve signals from the muscles. “If these predictions are wrong every time you try to access movement, it goes wrong,” says Edwards. 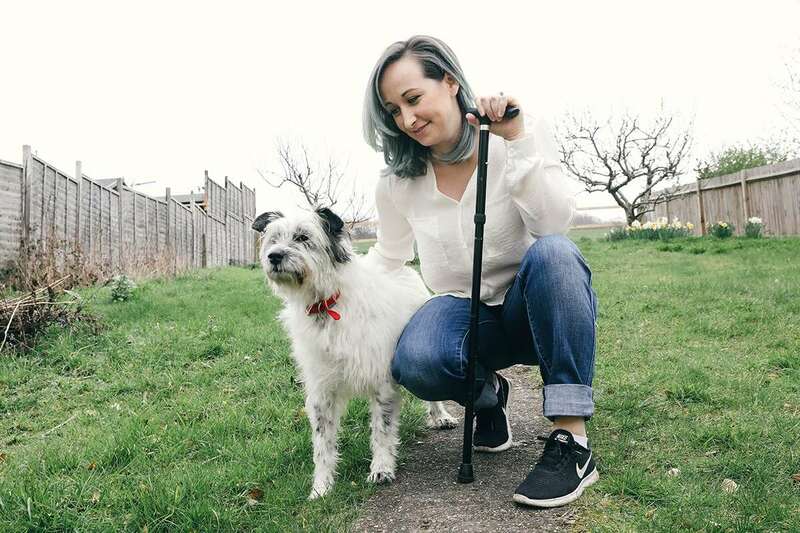 “I thought I was having a stroke,” says Rachael Troup, a 21-year-old in Edinburgh, UK. She was having lunch with some friends when her right arm and leg became numb, and the right side of her face drooped down. Her friends took her to hospital, where she had an array of tests including X-rays and MRI brain scans, but none of them showed anything wrong. Over the next few days in hospital, she began regaining some ability to move. Doctors said it may have been due to a kind of migraine, or Bell’s palsy, which is caused by inflammation of a nerve in the face. Her medical notes also mention the possibility that the symptoms were “functional” in origin. But doctors didn’t explain what this meant. In the following months, her weakness and paralysis returned and she ended up in a wheelchair living back home with her parents. Troup had a course of ordinary physiotherapy, but it was unsuccessful and she was accused of not trying hard enough. Finally, she saw a neurologist who specialises in functional disorders. “He said: ‘First off, it’s real and you’re not imagining it’,” she says. She has now begun tailored physiotherapy designed to stop the faulty brain processes that generate the symptoms. It is unclear why the predictions go wrong, though. 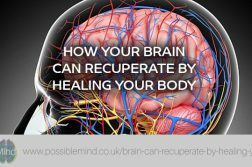 One idea is that it is due to people paying excessive attention to the malfunctioning part of their body – whether consciously or subconsciously. Several studies have shown that people with functional disorders direct more attention to all of their bodily sensations than people without these disorders. Distraction techniques could help simply by diverting attention. Whether or not Edwards’s explanation turns out to be right, distraction techniques are already helping people to recover from functional conditions. Yet they are no panacea. They are less likely to work for people who also have other hard-to-treat conditions, such as depression or arthritis. And some people have several functional symptoms mixed together that wax and wane over time, making it hard to achieve progress. A lot depends on the doctor’s experience and tact, and whether there are specialist physiotherapy and psychological services for rehabilitation. But times do seem to be changing. And if we get better at helping with functional disorders, there may be wider benefits too, says Edwards. In people with clear physical illnesses, the degree of symptoms may bear little relation to disease severity as shown by objective tests. That may be because a physical illness is being worsened by what is sometimes called a functional overlay. “Any symptom is a combination of the physiological process and your brain sensing that and presenting it to you,” says Edwards. The idea might help to explain the placebo effect, by which illnesses seem to abate after pretend medical treatments, says Andy Clark at the University of Edinburgh. Although this effect has a big reputation, its influence is usually relatively small, amounting to, for instance, a fall of 1 or 2 points on a 10-point pain scale. That might be a disease’s functional overlay melting away under the power of expectation. Even those who aren’t ill can experience something similar as mind over matter. Just as negative expectations about part of the body can make it start malfunctioning, positive expectations have been shown to boost performance, increasing endurance in sport, for instance. Why do functional symptoms start? One of the oldest explanations for functional disorders, where there is no clear structural cause for physical symptoms, was promoted by Sigmund Freud, who believed that they are due to a past psychological trauma. This may be true for a minority of those affected. One meta-analysis revealed that 24 per cent of people with a functional neurological disorder had been abused in childhood, against 10 per cent in a comparison group. Other people’s symptoms seem to be triggered by some kind of physical injury or disease. It is common for someone to be in a car crash, for instance, with injuries that cause pain or weakness in part of their body, but as their injuries heal, the problems continue. Some people report that their symptoms began when they were going through a period of stress. But for many there is no clear origin. These disorders are more common in women than men: two-thirds of those affected are women. No one knows why this is. But in general, women are more likely than men to have medical problems dismissed or belittled by doctors – a worrying trend when the condition itself is so difficult to understand. Imagery Can Help You Recover from Injuries and Illness – Learn Mind Power With John Kehoe. How Athletes Recover Quicker Using Mind Power. The Healing Power of Illness Book Overview.